To ensure that your website gets renewed automatically each year, it's important to keep your billing details up to date in your account. 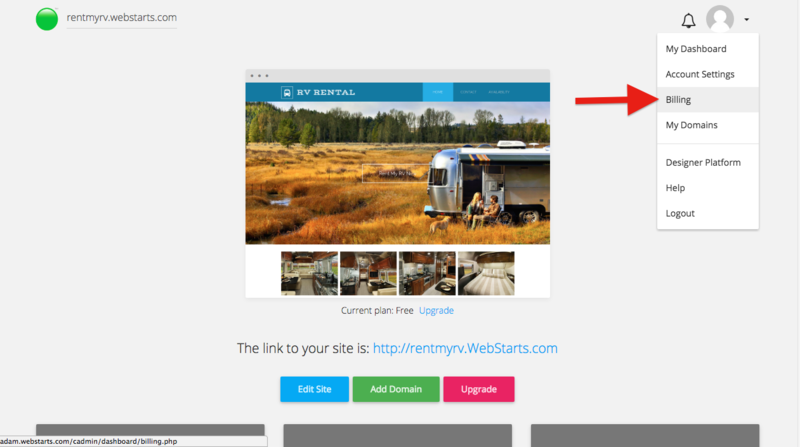 Having outdated or incorrect billing information could cause your website to not get renewed an may result in losing your domain name registration. Step 1: Log into your Account Dashboard, then click on the Profile Avatar on top right of the screen. 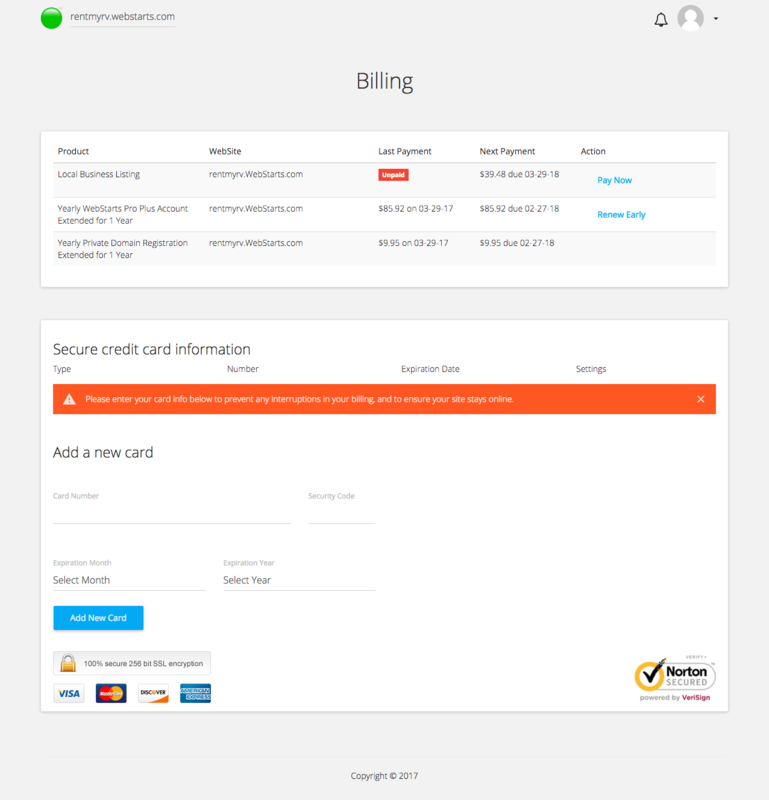 Step 2: Click "Billing" to access the billing page. Step 3: From here, you can now update your credit card information, pay any past due invoices, and renew any product early.